Some excellent news today for owners of Macs in Australia and New Zealand because you now effectively have a three-year warranty on your computer, from the date of purchase, regardless of whether you plumped up the extra cash to get yourself additional AppleCare+ cover. 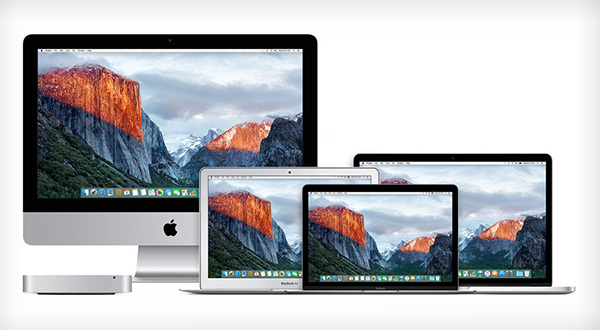 According to a document that was distributed to Apple retail outlets and authorized dealers, Apple will now offer up to 24 months of additional warranty coverage, beyond the standard one year cover, on Macs bought in either Australia or New Zealand. The move is a result of local law in the countries rather than Apple simply feeling like offering a longer-than-normal warranty as a gesture of goodwill. The law allows buyers to accept a repair or replacement if an item develops a fault within a “reasonable” time from initial purchase, with Apple deeming that to be up to three years. According to the document acquired by MacRumors, just about every part of a Mac is covered by the extended warranty, including its display, battery, SSD or hard drive, memory, logic boards, GPU, internal cables, power supply, and other electronic components that may make up the computer as a whole. That covers all the major bits we can think of, so if your Mac develops a fault within three years of purchase, the chances are good that you will be covered – so long as it was bought in Australia or New Zealand. 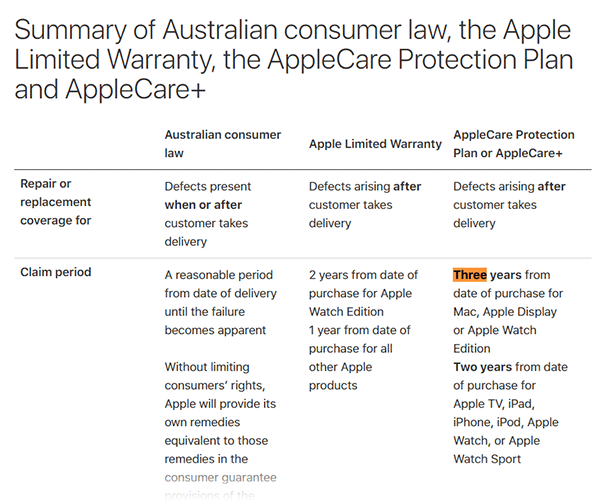 Apple will continue to offer its AppleCare+ extended warranty in both Australia and New Zealand, with both that and the new standard warranty period explained on the company’s website for the two regions, as shown in the screenshot above.